A. Look at the pie-chart and say whether other search service providers operate in the Russian market. Do you check their ads more than once? With the Launch of iAd by Apple many companies are choosing to advertise with them instead of Google or Microsoft. Businessweek.com reported that Apple may control as much as 21% of the market by the end of the year. Google will drop to 21% from last year’s holding of 27% and Microsoft, who was only just getting into ads, will drop to just 7% from last year’s 10%. Not bad for Apple, who wasn’t even in the mobile advertising market until they bought Quattro Wireless and announced iAd back at WWDC 2010. Unilever, whose first iAd made its debut in July, is “extremely happy” with the results of its ad campaigns, Rob Master, the company’s North American media director, says in an interview. More than 20 percent of people who click on Unilever iAds—which feature video and an interactive game—check out the ad a second time, he says. Natalie Kerris, a spokesperson at Apple, reports that since June the number of brands that use Apple’s iAd has doubled. 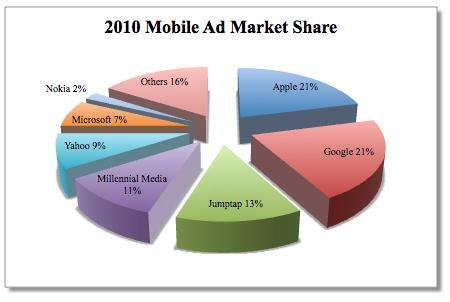 This trend isn’t just affecting Google and Microsoft either as both Nokia and Yahoo ad services are suffering as well. Have you seen iAds in your apps? Are you any more likely to check out the products showcased in an iAd compared to a Google AdMob ad, or an ad from another network? Is Apple really offering a better experience for both advertisers and end users? A. Before you listen, say when you visit another city, what do you enjoy/not enjoy doing? A. Match pictures 1 – 7 with their descriptions 1) – 6). A. Match professions with their definitions. A. Solve the quiz and check your answers. A. What countries is English the first language? Match English-speaking countries with their national flags and capitals.